On the Rim of Love tour through Kismet Book Tours. Twenty-two-year-old Maggie Robin has been dating the irresistibly good-looking Jeffrey Preston for a year. But when Jeffrey proposes marriage to her a week after her college graduation, Maggie finds herself wondering if she wants to spend the rest of her life married to a workaholic TV show producer. Her doubts culminate when during a ski trip to British Columbia she meets Taylor Denton, a handsome, free-spirited big mountain skier. Maggie’s attraction to Taylor is undeniable, but she is engaged to marry Jeffrey. Will Maggie have the courage to follow her heart? What are your five favorite love stories? Love Story by Erich Segal – I was fourteen years old when I read the story of Oliver Barrett and Jennifer Cavilleri for the first time – I finished the book in one night and broke down in tears at the end. I’m much older now, but this heart-tugging love story never fails to have the same effect on me. The Great Gatsby by F. Scott Fitzgerald – the Great Gatsby is esteemed for its many literary achievements, but I cherish this work of fiction for the love story between Jay Gatsby and Daisy Buchanan. In all of my favorite novels there is an underlying love story, and in my humble opinion, Jay Gatsby’s tragic longing for Daisy Buchanan makes this novel incredible. The Age of Innocence by Edith Wharton – Newland Archer, heir to one of New York City's best families, has found a seemingly perfect match in the sheltered and beautiful May Welland, but when May’s cousin, Countess Ellen Olenska – a mysterious thirty-year-old beauty arrives to New York from Europe, Newland finds himself questioning his feelings for May. The Age of Innocence has many important underlying themes, but I love this novel for the love story between Newland and Ellen – love requires courage, and while Newland unfortunately fails to find the needed strength to fight for Ellen, the tragic inevitability of unrealized love makes this love story a wonderfully bittersweet read. A Room with a View by E.M. Forster – society and class differences stand between George Emerson and Lucy Honeychurch – these impediments, however, fail to stop George’s attraction to Lucy, but while Lucy is drawn to George, she chooses to repress her feelings for him in favor of convention. My heart plummeted when I read the part where Lucy got engaged to the wealthy and incredibly pretentious Cecil Vyse – thankfully, Lucy had enough sense to break off her engagement with Cecil and elope with George. Gone with the Wind by Margaret Mitchell – who can resist this sweeping saga of star-crossed lovers, Scarlett O'Hara and Rhett Butler? Every time I reread Gone with the Wind, I am swept off my feet by its magic. This is the list of my top five favorite love stories – it is by no means a complete list of all the love stories that I cherish and adore, but to list them all would require a much longer post, so I’m thankful that I was asked to only write about my top five favorites. Here’s wishing happy reading and sweeping romance to all the romance fans out there! 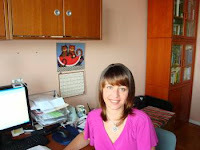 Currently, Marie is working on her next novel – stay tuned for details! If you would like to receive updates about book releases and events, please visit Marie’s website or visit Marie at her Facebook page. 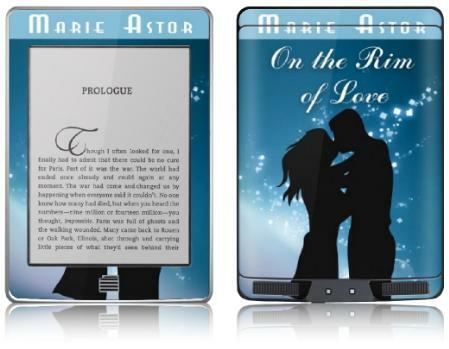 Contest Info: Marie is offering a Kindle 3G skinned in her beautiful On The Rim Of Love cover art. Open US/Canada. See full contest rules here. My favorite part of a romance is that first kiss that comes together after the anticipation, the misunderstandings, the hurt feelings, everything--and have it all come together with a kiss! Yes, I agree - that's the best part! 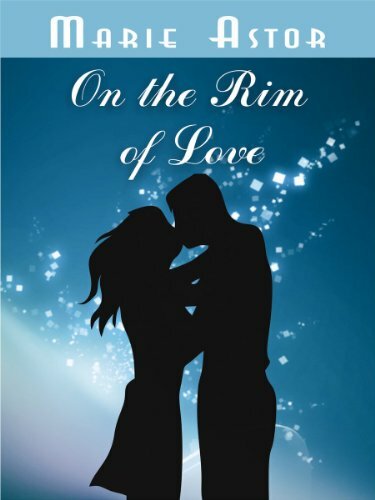 My favorite part in a romance novel is all the events that lead to the relationship, the tiny hints and shy glances, and then maybe the confessions that make my heart flutter.